Arrive at Guwahati. Evening Boat ride in Brahmaputra River. Morning Forest Walk in Nameri and Leave for Kaziranga. 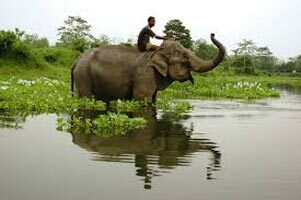 Morning Elephant Ride and 2 Safaris. 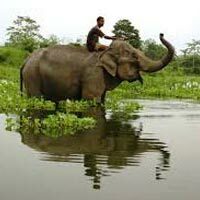 Morning Eastern Zone Safari and Boat ride in Brahmaputra.